Love always, Bear: That's my ball! The other day at the beach, I was minding my own business and happily fetching my ball in the ocean. 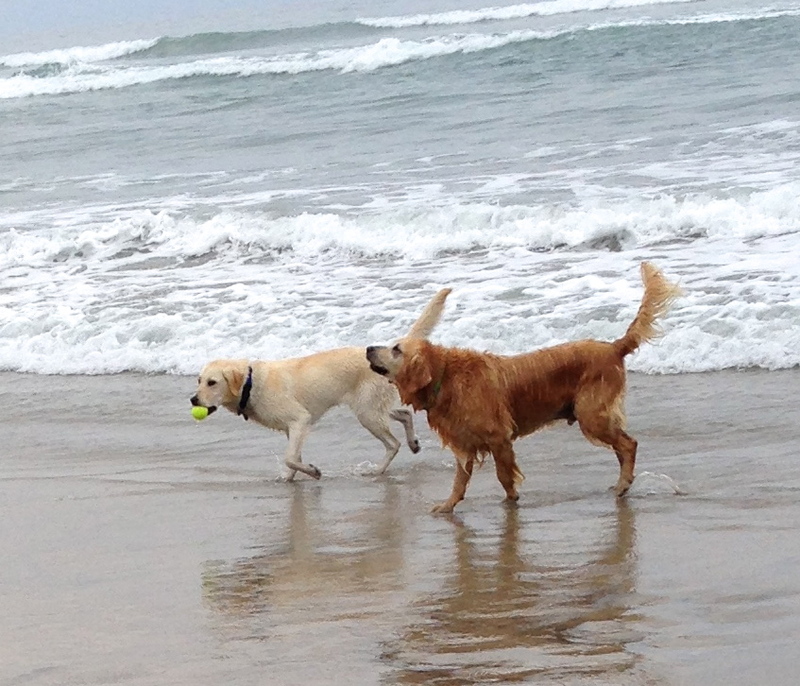 Then out of nowhere, this lab came racing past me and intercepted my ball! He must have been a tourist. Dog locals know beach etiquette. Tourists need some time to learn the rules. You'd be a great tour guide Bear! Did u end playing ball with the lab in the end? MOL...I hope you got your ball back. How rude..lol Hope you got your ball back in the end. Aww, he just wants to hang with the cool woofie. Did he run away with it? It was nice of you to share and not bite him!